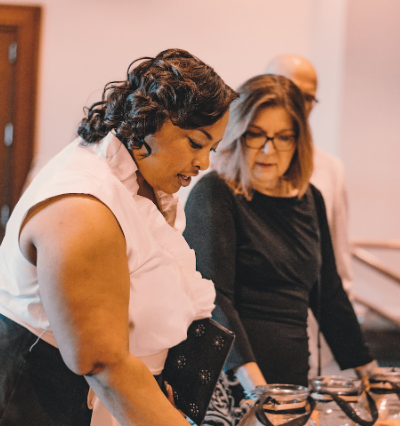 While the gala is a wonderful way to give back to the school and enjoy child-free time with parents and staff, it’s also your ticket to great one-night-only discounts and deals! This year, Francie Baltazar Stonestreet, of Fireheart Photography, has been visiting classrooms to create her beautiful Soul of the Child portrait series. 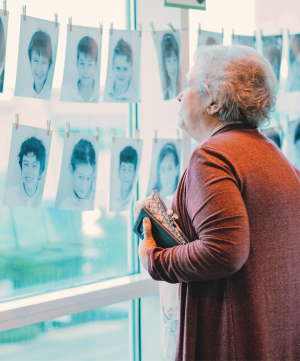 Gala attendees will not only have access to a discounted price for photographs of their children, but they will be given the digital files of these photographs. This is an exclusive gala offer, and digital copies will not be available for purchase after the gala. Westside Montessori School is kicking off a fundraising birthday celebration (or half-birthdays for summer babies). When you provide this $40 donation to support the missions of Westside, your child’s birthday will be announced over the school’s PA system and celebrated on a sign in the carpool lane. Ms. Bonita will personally come to the classroom to serenade your child with a birthday song! This fundraiser will continue after the gala for a $50 donation. We are also bringing back our dedication bricks this year. 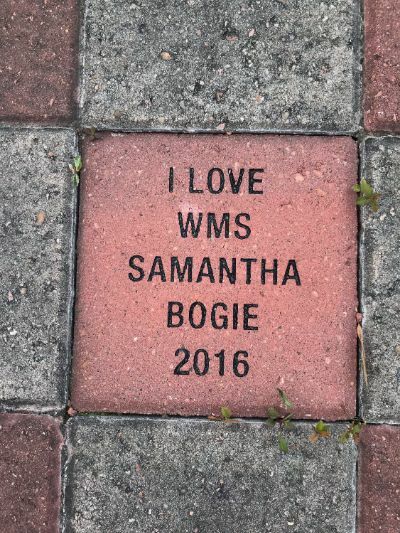 Your bricks will grace the school’s campus for years to come—it’s the perfect way to show that you quite literally back Westside Montessori School to its very foundations. For gala night only, these bricks will be massively discounted to $50 rather than the original cost of $250. After the gala, dedication bricks will be available for $300. Are you looking for the perfect parents’ getaway? We have a solution for you! Drive over to Fredericksburg for a relaxing and romantic wine tasting weekend. 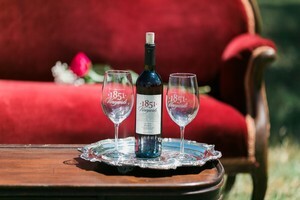 You will visit the beautiful, family-owned 1851 Vineyards. Surrounded by stunning pre-Civil War buildings that have been designated as Texas Historic Landmarks, you will experience a behind-the-scenes tour of the winery, including a private tour of the vineyards, a meeting with the owners, a standard wine tasting, and an exclusive barrel tasting of their famous Tannat, winner of San Francisco Chronicle’s 2019 Double-Gold! Stay Thursday and Friday night at Texas Two Step Guesthouse, a short walk from the lovely Fredericksburg Main Street (or you can borrow bikes to explore the town). This cozy 5-star-rated B&B is a private building, detached from the main house, with a fireplace and separate living room. It offers you the perfect balance of country quiet and small-town charm. Spend the day antiques shopping and bar hopping, or just unwind and enjoy doing absolutely nothing! 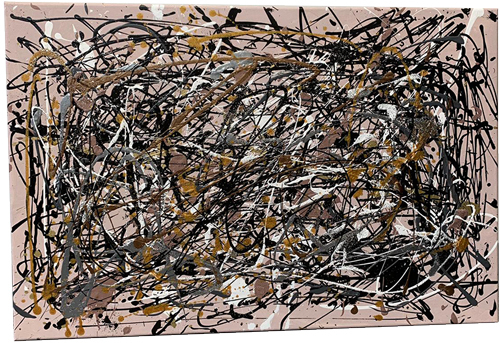 This abstract piece, inspired by Jackson Pollock, would look as at home in an art gallery as your family room. Its confident splatters mimic the vibrant movement of young children, portraying their energy and zest for life. The bold-yet-neutral color palette echoes the black-and-white binary character of toddlers’ minds, while the metallic tones remind us that these fleeting days are moments to be treasured. This beautiful piece in miniature form, with equally miniature hand prints, will be a joyous addition to any nursery or playroom. The tree motif represents the growth and new beginnings that these toddlers experience in their classroom every day, while the teachers’ handprints at the base symbolize the support that they give their students. 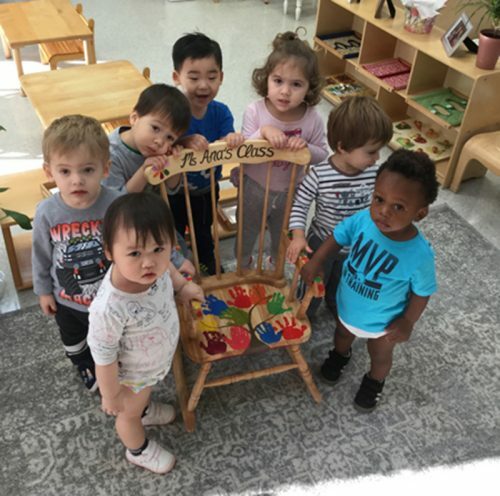 Whether riotously riding or gently rocking with a book, any small child will revel in his or her very own “grown-up chair” that could become an heirloom for future generations. 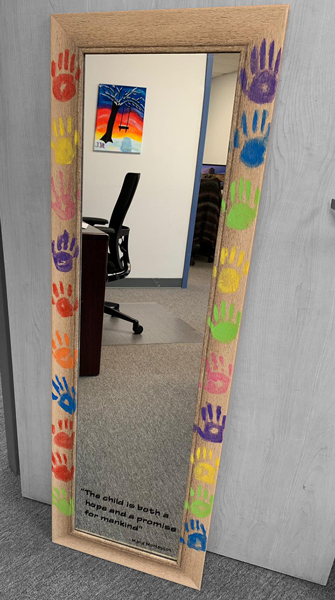 Maria Montessori once said, “the child is both a hope and a promise for mankind.” This message, skillfully emblazoned across this full-length mirror, teaches us to see reflections of the future within our children and our children within ourselves. Their tiny handprints are boldly painted around the frame, freezing time even as the central image changes with the years. Mark your children’s growing height on the side as a beloved memento of their younger days. 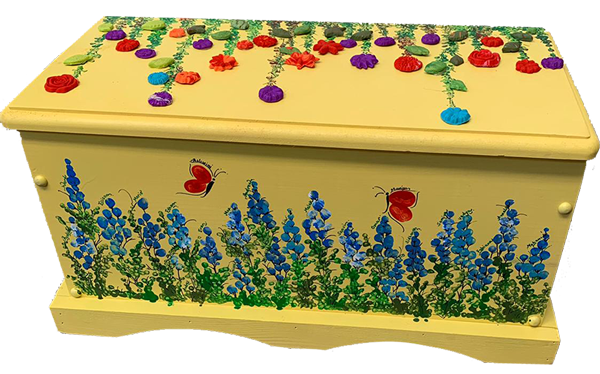 This beautiful toy chest is embellished, with acrylic paint, as a brilliant spring day in Texas. The blue and white fingerprints come together as an explosion of bluebonnets, and the children’s names are written next to their respective flowers, so every friend will be remembered. The butterflies are the prints of Ms. Manju and Ms. Ashwini, flitting through the class. Students made the three-dimensional polymer clay flowers in molds, then baked them to harden the clay. The children delighted in individually selecting colors and designs of flowers and leaves. This stunning box will be the perfect storage for treasures in any home. Flashing through a lapis ocean, these little fish swim into our hearts with their personalized charm. 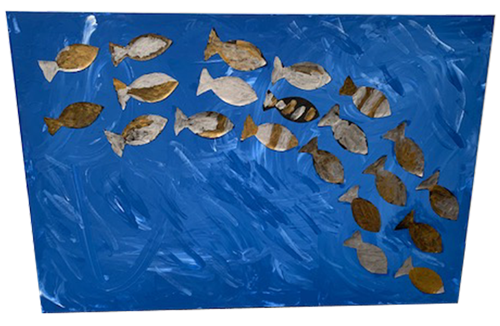 Much as Montessori classrooms flow in symbiotic harmony, this piece evokes the mesmerizing synchronicity of teeming shoals, with each child’s individually-painted piece working as part of the greater collage. Whether the school is academic or piscine, it will bring cheer to any room. Just when you thought your chips and dip couldn’t get any better! 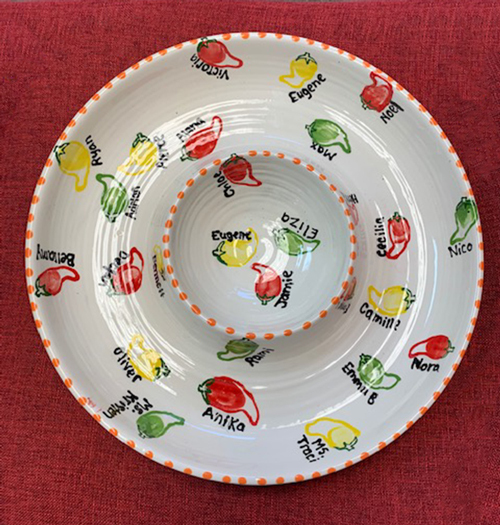 This hot ceramic dish is hand painted with red, yellow, and green fingerprint peppers, guaranteed to spice up any special event in your home. Each fingerprint pepper has been labeled with the children’s respective names for lasting memories, and the piece was fired, by a local ceramics studio, into the perfect custom piece that you will enjoy for years to come. A core tenant in Montessori education is the importance of respecting nature and our environment. What more engaging way can we do this than to encourage our children to quietly watch their feathered friends in a bath? These creatively upcycled terracotta pots use shades of birds’ habitats – the blue of the sky and the green of trees – to bring life to any garden. The diaphanous mosaic-style tiles trim each tier to reflect light and their surrounding botanicals. 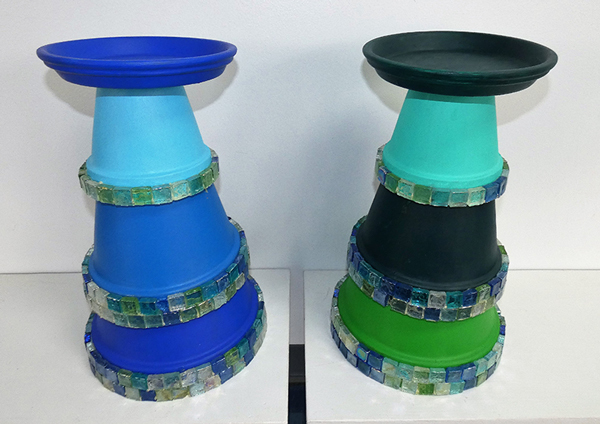 Take these bird baths home, and enjoy seeing the wonder of nature in your children’s eyes. Weaving is one of the oldest mediums used today. It has been around since the Neolithic time when people wove natural fibers to create clothing, baskets, and shelters. Today, textiles are more than just functional – they are viewed as an increasingly-popular art form unto themselves. 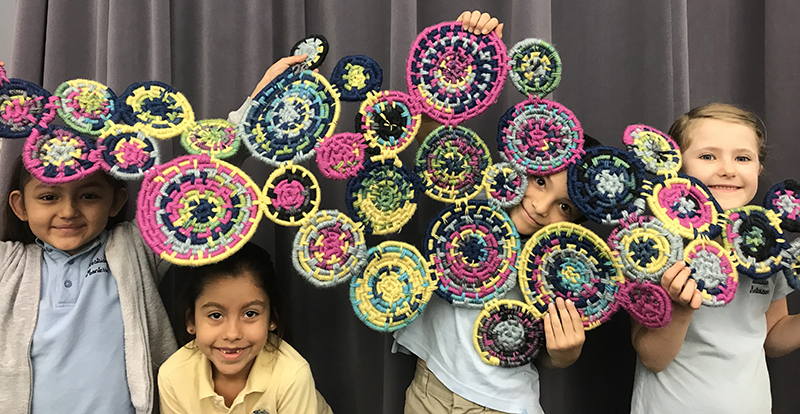 Lower Elementary students applied the old technique of weaving, with a modern circular twist, to create their own abstract masterpieces. It is intriguingly fun to see such an ancient art in contemporary colors and form. This year Upper Elementary wanted to reflect their individuality, and their shared community, in one exciting project. The hexagon represents individual strength but can form a mighty foundation when linked together with others. 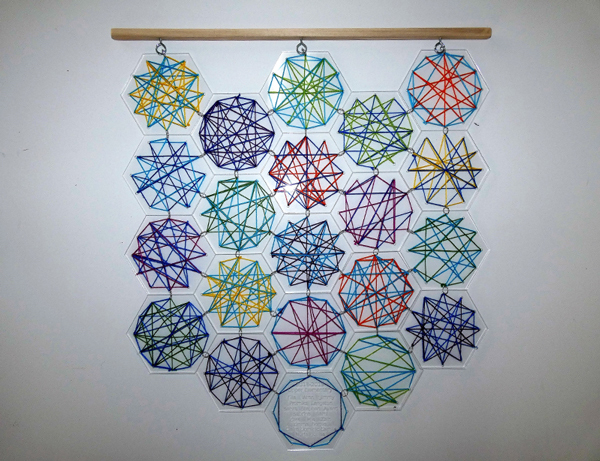 Using laser-cut acrylic, the students chose two colors of embroidery thread that represent their personalities and made their mark by threading their own design into each hexagon. Enjoy this collective art piece in a window or hanging on a wall. Anywhere you display this work will become bright and draw the eye. Games for ages 3 to 103! 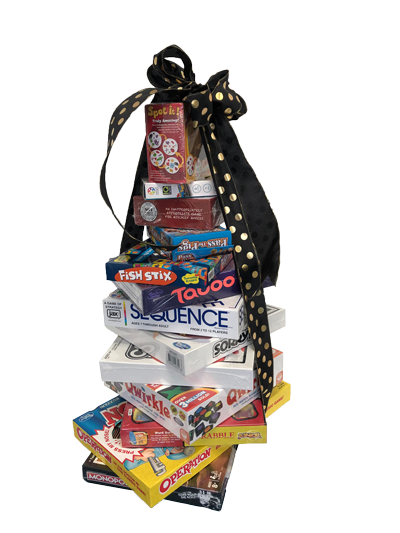 Spend a fun-filled family night playing old and new favorites including Spot It, IQ Twist, Pass the Pigs, Fish Stix, Sequence, Taboo, Connect 4, Sorry, Qwuirkle, Scrabble Jr, Operation, and Monopoly. Experiment with the six different cooking methods the InstantPot® Duo Plus 60 has to offer: Programmable Pressure Cooker, Slow Cooker, Rice Cooker, Yogurt Maker, Egg Cooker, Sauté, Steamer, Warmer, and Sterilizer. 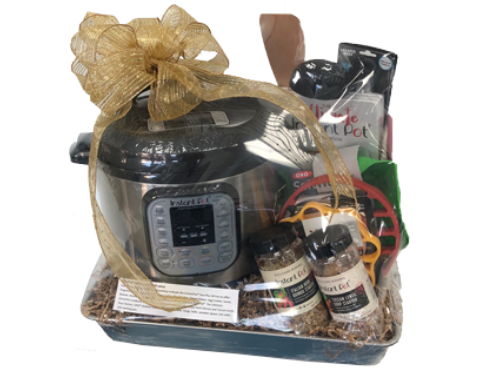 Accessories include Williams-Sonoma® The Ultimate InstantPot Cookbook and Williams-Sonoma® InstantPot® Italian Herb Quinoa and Tuscan Lentil Soup Starters, OXO® steamer basket/trivet/egg cradle, tongs, ladle, wooden spoon, hot mitts and roasting pan. Both kids and parents will love this one! 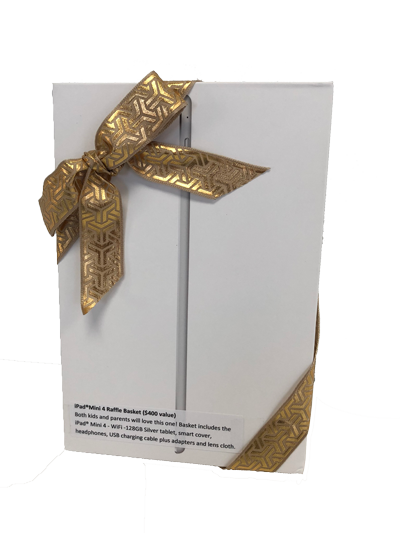 Basket includes the iPad® Mini 4 – WiFi -128GB Silver tablet, smart cover, headphones, USB charging cable plus adapters and lens cloth.